Every so often, when a human wades in absurd company with a majestic shark, a predictable spectacle unfolds. The shark, interest piqued, attacks human. The human can be fatally wounded, though not always. Shark is thereby hunted – this, deemed the automatic reaction of the outraged and incensed. 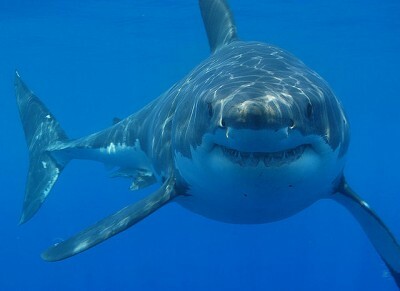 The shark is but one animal, incapable of understanding the false notion of a social contract it is meant to abide it. Similarly, humans assume that notions of revenge and deterrence have some role to play. You killed one of our species, and must account. Much of this is occasioned by the traditional galeophobic tendencies that have become mandatory in countries in proximity of shark populations. In a statistical sense, being nabbed and placed on the menu of a shark is akin to 1 in 3,748,067. That is the figure arrived at from the University of Florida’s Museum of Natural History. Obviously, the figure changes if you are a marine obsessive, tempting fate. The shark, however, is deemed wily, much in the way western cultural commentators considered the Oriental inscrutable, outrageous and unbecoming of Western ideals. One has to be sneaky in order to be effective, adjust, adapt to the beast of the sea. “Baited drum lines,” goes the ABC report, “have been dropped off Perth’s north in the hunt for a suspected five-metre shark which killed a diver”. Obviously, the emphasis there being on human cognisance of the obvious – though prevention has little role to play in the role of mythology, mankind and beast. The shark performs roles it has no clue of, the subject of a script which enrols the enforcers, the killers, the marauders. The beast shall be found. The shark attacks have, however, given the premier cause for concern. As Fisheries department metropolitan regional manager Tony Cappelluti explained on Monday, “We’ve had [the attacks] months apart but probably never several days apart.” How inconsiderate of them – and their timing. There is nothing of the Hemingway macho about this. The political fears are far more rudimentary in their material worth. The great whites, in inflicting such fatalities, have given the state “world exposure” that will damage tourist numbers, something that was already affecting various WA beaches. The response from Barnett is simple: shoot the animal in question. “Shark suspected of WA attack to be shot.” Forget the shark’s role in the great body of the sea – it has been condemned without a jury of peers or the dictates of natural justice. It is merely being punished for its nature.